5 Rivers sits on the banks of one of the canals that traverse the Mobile-Tensaw delta. The decks of the Delta Hall and the perimeter trail around the facility provide excellent vantage points to observe birds of the surrounding marsh and waterways. In spring and summer look for Brown Pelican, Osprey, King Rail, Marsh Wren and several species of herons and egrets. Occasionally, Least Bittern and Purple Gallinule may be encountered along the margins of the emergent marsh. Painted Bunting may also be possible in the thickets near the buildings. Check here for migrants in spring and fall. Dauphin Island Airport is set in a salt water marsh in which may be found Clapper Rail (common), Virginia Rail and Sora are fairly common(fall and winter), though secretive. Yellow Rail is very rare in winter as is Black Rail most of the year. Nelson’s and Sharp-tailed Sparrows may be seen in the grasses on the edge of the marsh. Long-legged waders may be seen feeding in the ponds on either side of the entrance. 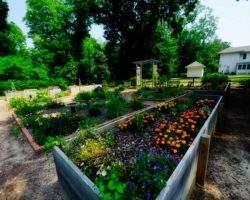 The Alabama Shakespeare Festival and the Carolyn Blount Museum of Fine Art are the two main entities that occupy the 250-acre Blount Cultural Park. Both have lakes and extensive lawns. Birds are not abundant here, but you can find waterfowl and waders on and near the lakes. Swallows can be quite common in spring and summer. Paved roads wind through the park; park off the roadways and bird the foliage on the park borders for songbirds. The wintering and breeding species you will see here are the expected assortment for southeastern suburban parks and yards, but migrants may be around in spring and fall, especially after the passage of a weather system. Be sure to inspect the quiet little corner that is Shakespeare’s Garden, adjacent to the Festival, and watch for Loggerhead Shrikes in all seasons on the edges of the thin woods throughout the park. Two hours should be sufficient for a productive visit. The Alexander City Sportsplex is an island of green minutes from US-280. Varied habitats promise a worthwhile birding destination. Trees here are home to resident songbirds, and provide a welcome stopover for migrants. Hawks and vultures soar above, Eastern Bluebirds nest throughout, and dense second-growth at the south end of the park is good for Indigo Buntings, sparrows, wrens, and more. The Anniston Museum occupies landscaped grounds surrounded by a mature pine-oak hilltop forest. The woodland component coupled with the elevation makes the site well-suited for a role as a spring and fall migrant trap. Woodland songbirds and woodpeckers are present throughout the year, and the added attraction of the Museum’s outstanding exhibits make this a site worthy of inclusion on any visitor’s itinerary. The Museum serves as a Gateway site for the Appalachian Highlands Birding Trail, and is a good place to get help with your questions about the trail. Be sure to spend some time birding the pond in Jaycees Park at the base of the hill, just off Highway 21. The Arcola Boat Ramp is essentially the only public-access area in the region known collectively as the Hale County Bottoms. Look for wetland songbirds, other bottomland and wet-woods birds in the timber, and scour the marsh for American Bitterns (fall-spring) and Least Bitterns (spring through fall) as well as King Rails and Moorhens. Ospreys and eagles nest nearby, and watch for kites over the open areas in late summer. The hammock here would be a fine place to look for Painted Buntings. Ashland City Park preserves 27 acres of mixed hardwoods and pines along a tributary of Horsetrough Creek, with a well-maintained walking path as well as children’s playground, picnic tables, and a skateboard park. The land to the left (east) of the entrance road provides an opportunity to survey old-field habitat. Expect to see Eastern Meadowlarks and Field Sparrows throughout the year. Red-tailed Hawks hunt here, and this is a good place to spot Great Horned Owls. Backbone Boat Launch sits the banks of a creek which flows into Lake Demopolis and across from a flooded cypress slough. This small site may be easily birded in less than an hour. Prothonotary Warblers, Redstarts, Northern Parulas, and Yellow-throated Warblers are conspicuous; watch for Anhingas, Purple Gallinules, and Common Moorhens. You may see Painted Buntings here, and expect Wood Ducks, with other waders and waterfowl present in season. In late summer, Wood Storks and Swallow-tailed Kites are possibilities. Exceptional grassland birding awaits at the State Cattle Ranch. Standout birds include Dickcissels, Loggerhead Shrikes, American Kestrels, Grasshopper and Lark sparrows, Northern Bobwhites, and Barn Owls as breeding birds. Summer waders include Wood Storks, and look for Least Bittern on the pond edges. Winter sparrows, including White-crowned, winter waterfowl, and birds of prey make this unique spot well worth a special trip. Battleship Park presents the birder with a diversity of habitat to explore and a great variety of birds to observe. Pinto Pass and the mudflats of Mobile Bay filled with waterfowl in winter and shorebirds during migration, short grass lawns for dowitchers and Black-bellied Plover, salt water marsh with herons and egrets. During low tide this area is filled with herons, egrets and occasionally ibis, especially in late summer. Black-necked Stilt may be around any time of the year and in summer, Gull-billed Tern is present.